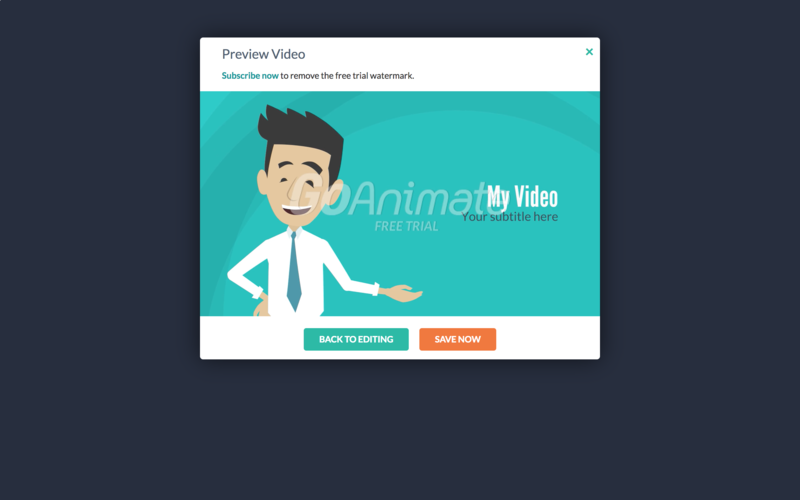 GoAnimate is a professional animated video creation tool. 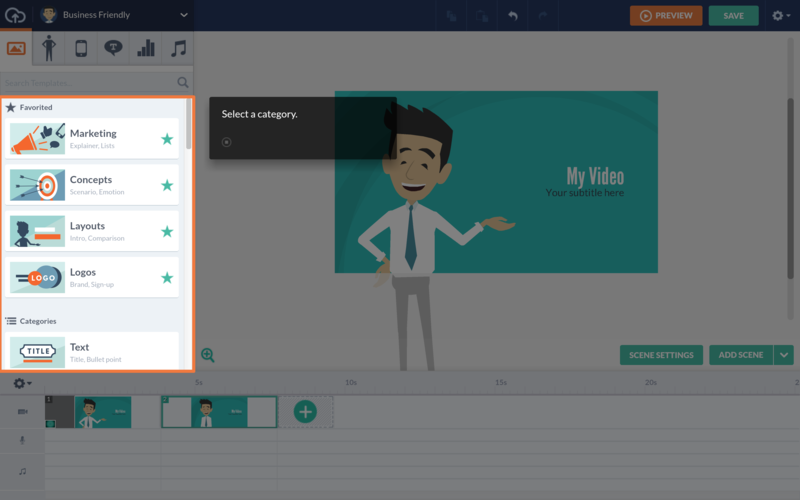 They're perfect for teams that are inexperienced with video, or don't have the budget for a large-scale video production, but still see video as a useful medium. 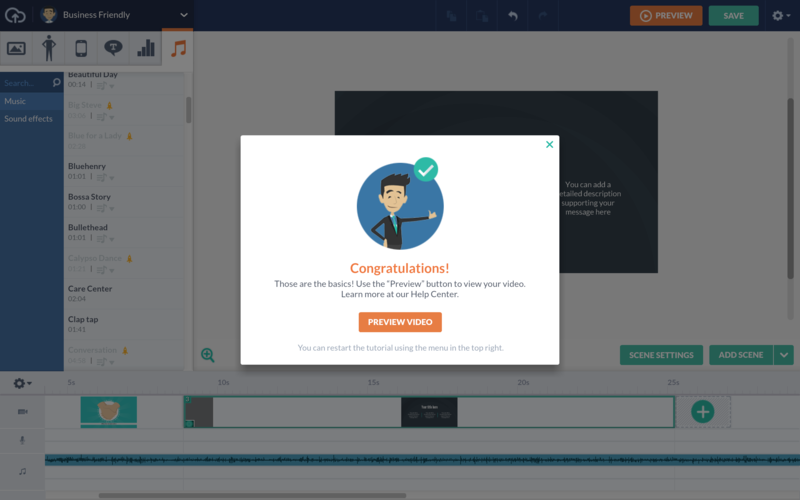 GoAnimate understands that making a video doesn't have to be this massive cinematographic endeavor. 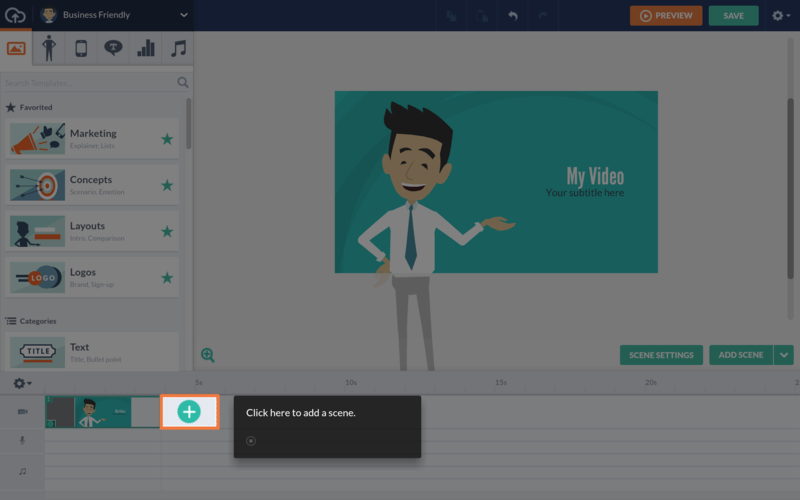 Video can be useful in almost every aspect of a business, including marketing, user onboarding, and sales as well as internally for meetings or employee onboarding. 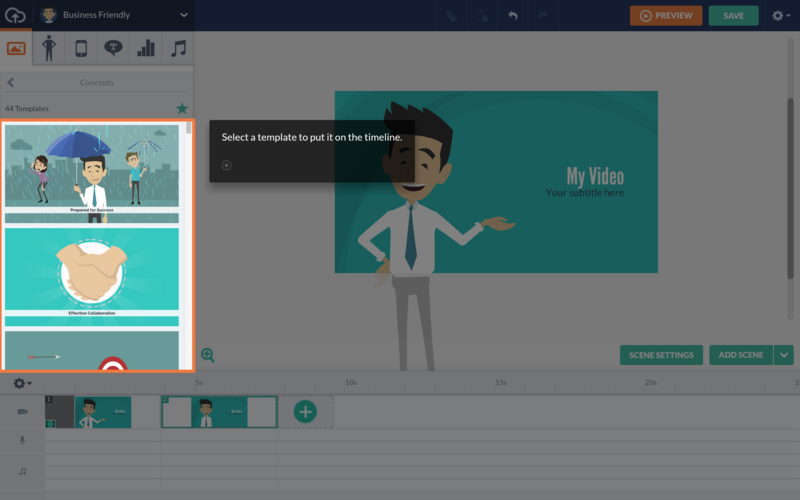 In their onboarding, they use a step-by-step video creation product tour, showing new users just how simple GoAnimate is to use. 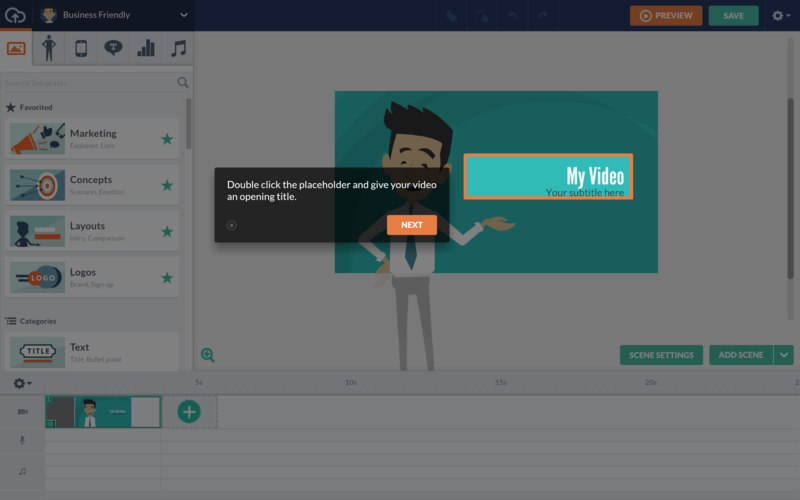 GoAnimate instructs new users on how to make a video with a step-by-step, interactive tutorial of their tool's basic features. 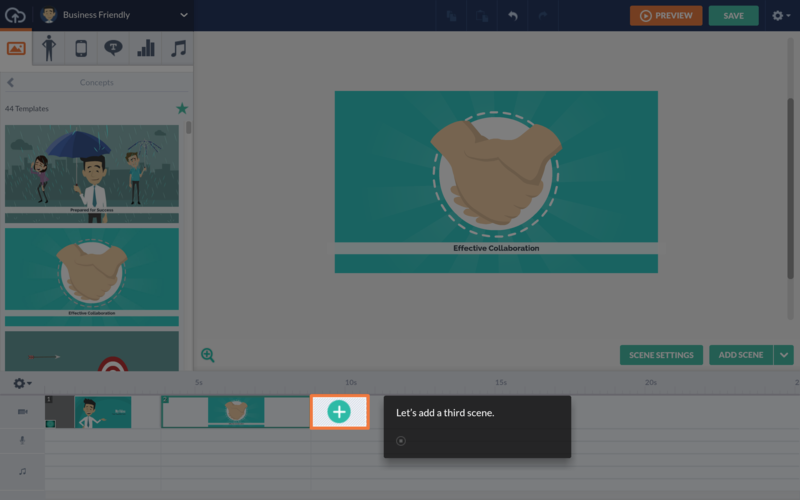 In the process, users get to create their first video so that throughout the tour, GoAnimate nudges users closer to the product's aha moment. 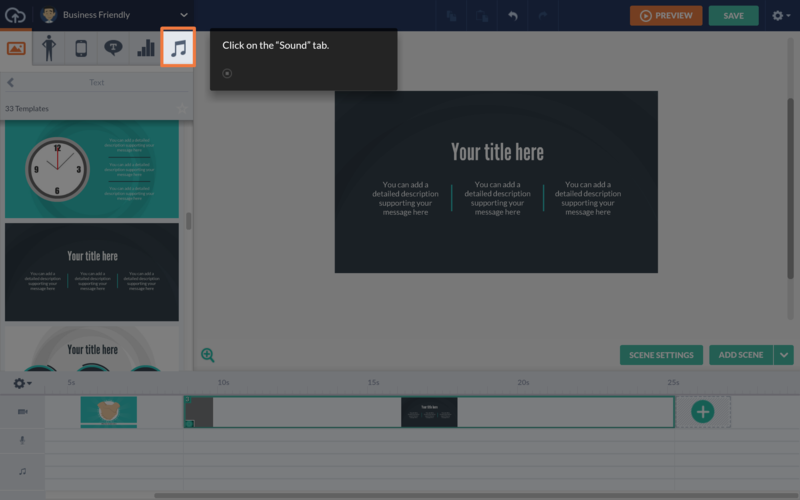 The end of their product tour features a preview of the first video they created, giving users a sense of accomplishment. 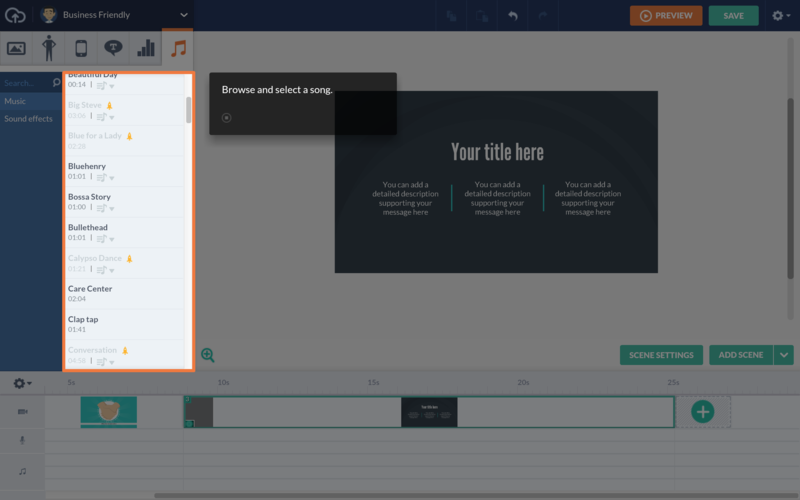 Chances are for many new users that this might be the first video they have ever successfully created.